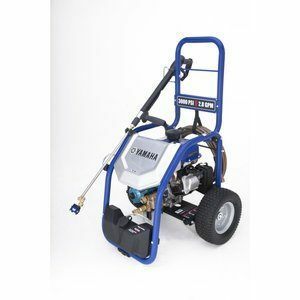 Gas powered pressure washers have the ability to bring users a high PSI, but not every home has that kind of need. 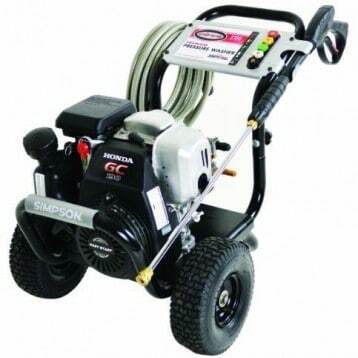 Gas powered units also can’t be used indoors, but electric power washers certainly can. 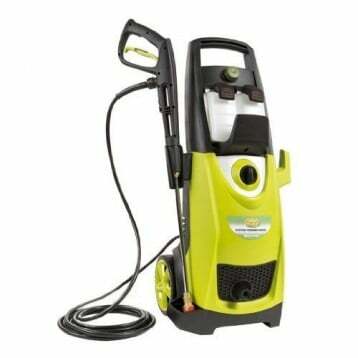 From the indoor pool deck to the driveway outside, the Powerworks 51102 electric power washer offers numerous features and advantages for an outstanding price. For less than $150 on Amazon right now, you’ll be able to have a cleaner home and property in not time at all. What Are the Key Features of the Powerworks 51102? 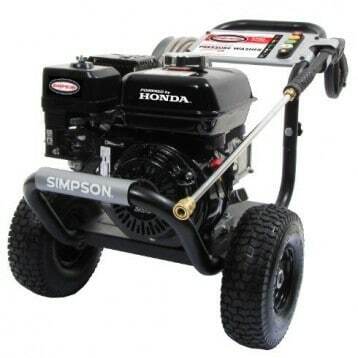 You’re actually going to receive 1700 PSI as a maximum output with this pressure washer, coming to you through the use of just 1.4 gallons of water per minute. This is enough pressure to accomplish most residential cleaning tasks, such as washing down a deck or driveway, clearing out light stains from brick, wood, or concrete, and washing a vehicle. You’ll also receive these specific features with the Powerworks 51102. A 25 foot spray hose offers users plenty of flexibility while cleaning so that stopping and starting can be effectively reduced. A 35 foot power cord will allow you to plug the pressure washer in directly without a power cord and it is GFCI protected for added safety. There are two built-in soap dispensers on this pressure washer instead of just one so that you can swap out detergents based on the needs you have. Will the Powerworks 51102 complete heavy duty commercial chores, like removing season-long mold and mildew from a deck so that it can be prepped for stain? Not with its maximum PSI level. Will it be able to create a more hygienic atmosphere with proactive cleaning throughout a season? Yes. Why Choose the Powerworks 51102 Today? 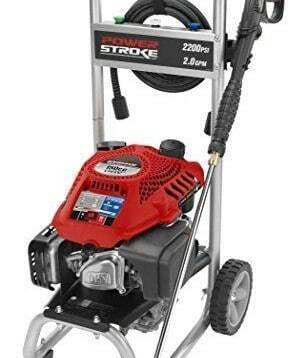 We really like the exterior design of the Powerworks 51102. So many of the electrical models that are available are so tall that they wind up falling over at just the slightest tug and every fall creates the potential for damage that isn’t covered by the 1 year warranty that is included. This unit is nice and compact, and although it weighs about 40 pounds, moving it about isn’t hard. 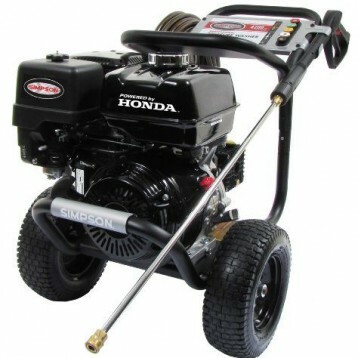 The stroller-like design lets you quickly push this pressure washer to the next job. We’re not big fans of the hose connection point on this pressure washer, however, because it isn’t as simple as advertised. You’ve got to match up the threads perfectly before tightening the connection. If you are in a rush, a few bad turns could easily make the connection go bad on you. If you’re looking for an effective pressure washing system that can be used virtually anywhere and with success, then you might just be looking for the Powerworks 51102. It doesn’t provide an overwhelming amount of power, but it does provide an effective cleaning solution if you treat it right. For this price and with the included features, it is definitely worth a look. Click here to view pricing on Amazon and find an awesome deal on the Powerworks 51102 Electric Power Washer.